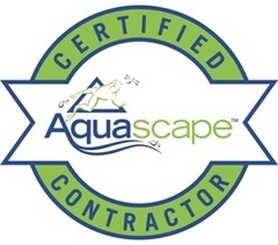 Service Availabilities In Henrietta, Greece, Chili, Gates, Spencerport, Rochester & Western New York (NY) Areas Near Me! 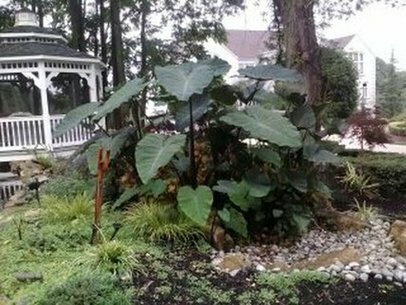 There are several different types of Taro Plants that will grow during the season in Rochester, Monroe County New York (NY), and although they are considered a tropical plant they are one of the easiest plants to winter over as a houseplant, and return to your water garden in the spring. Large leaves and each growing to heights of 2′ to 4′ high or higher with leaves up to 24″. 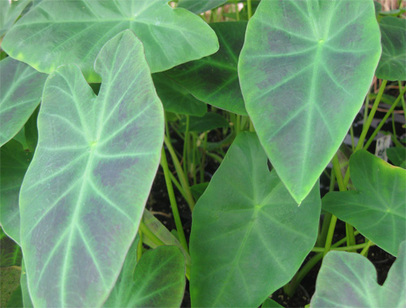 Taro or sometimes called elephant ears, are native to the tropics of Asia. There are more than 300 varieties that are grown in the U.S., especially in Hawaii. They are also grown for a food crop, since all their plant parts can be eaten. 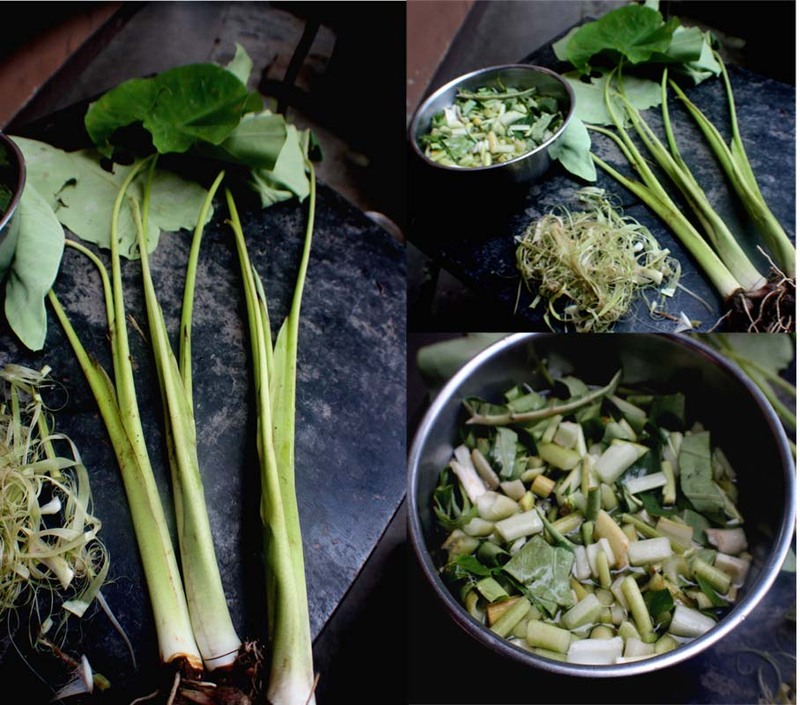 You can cook the stems, leaves and flowers while they are young and eat as a vegetable. The leaves are often used to wrap other food with and then steamed. To us ponders we simply love the look and gracefulness of the Taro. 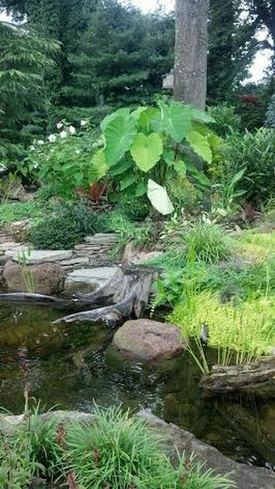 It can add a dramatic accent to your pond or container garden. 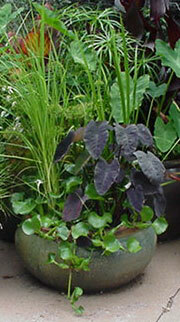 Taros are quite often used as a plant for a container planting. They can tolerate full sun but they prefer to be protected from the afternoon sun. They need to be fertilized regularly and planted in large pots to grow them to their maximum size. You’ll have larger leaves and larger plants. Planting zones are 9-11 and require moist soil or water to 6 inches deep. To winter over a Taro in Rochester, Monroe County (NY), simply bring it indoors and keep it in a sunny, warm room in a container of water. You can also cut the plant slightly above the tuber and store the dried tuber in coarse vermiculite in a sealed container and replant in the spring. You can also take the plant and let it dry and store it in the pot in a cool, dark spot where it will become dormant until you bring it out again in the spring. 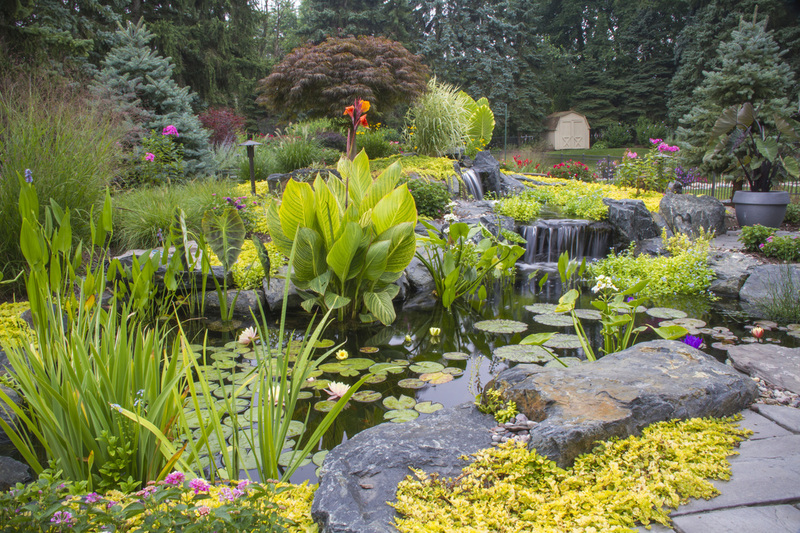 Get on our pond maintenance schedule now!